Plant stand made using old legs from the bench (see below) and an Ikea wooden fruit bowl. 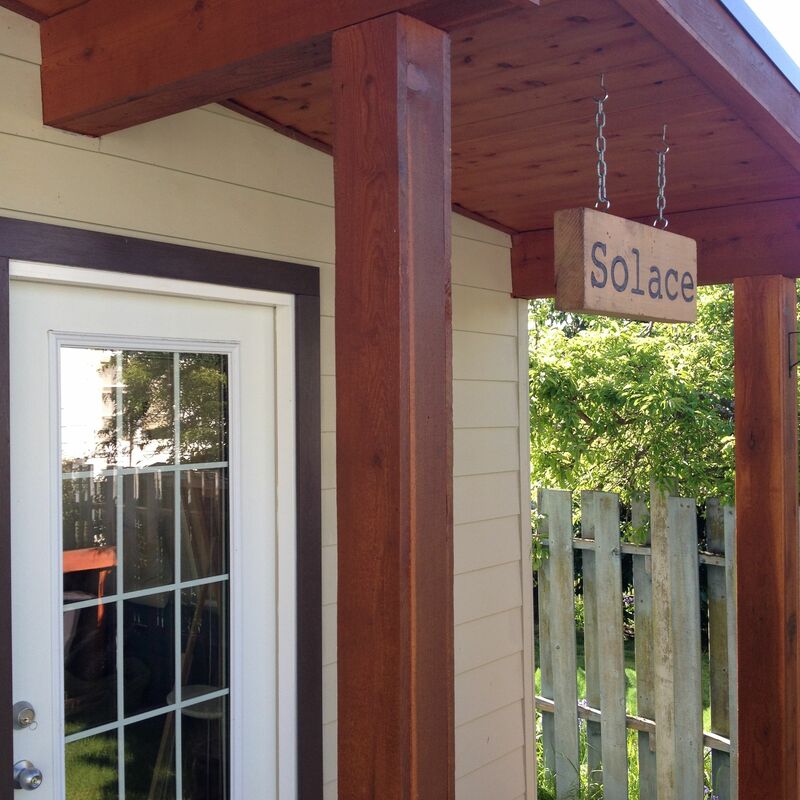 “Solace” sign. 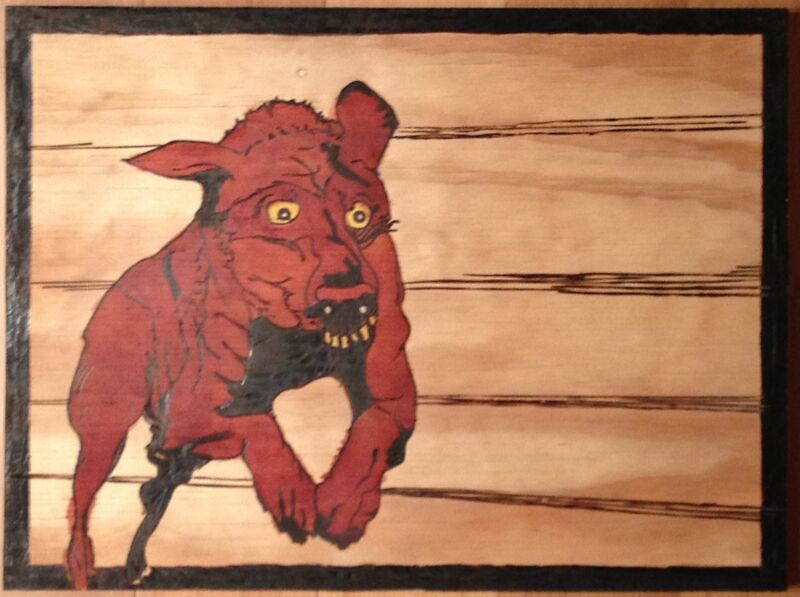 Wood burning on red cedar block, steel chain. 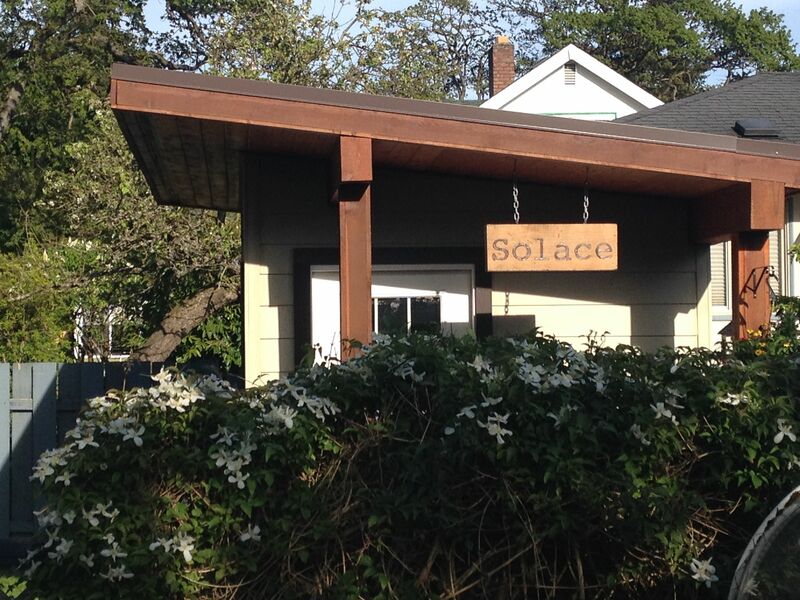 Font selected by Johanne. 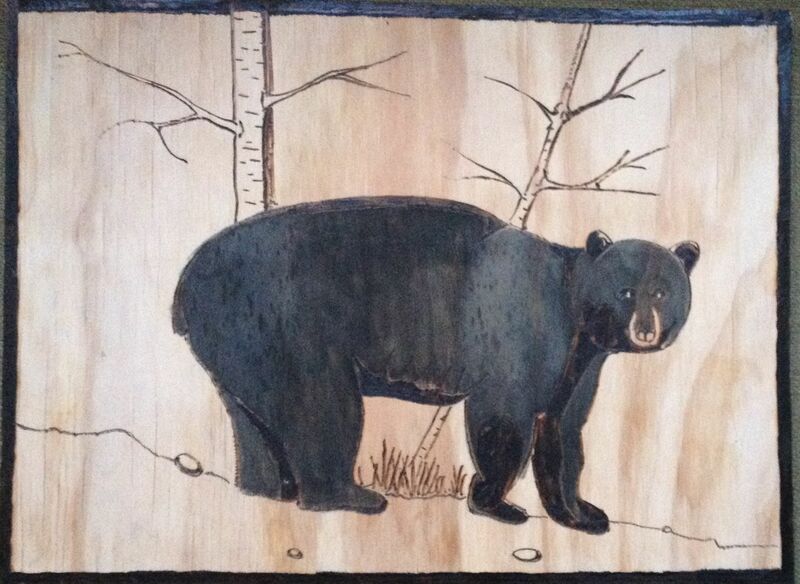 “The Bear.” Wood burning on plywood and Speedball black ink (wash). Present for Ira’s 23rd birthday. 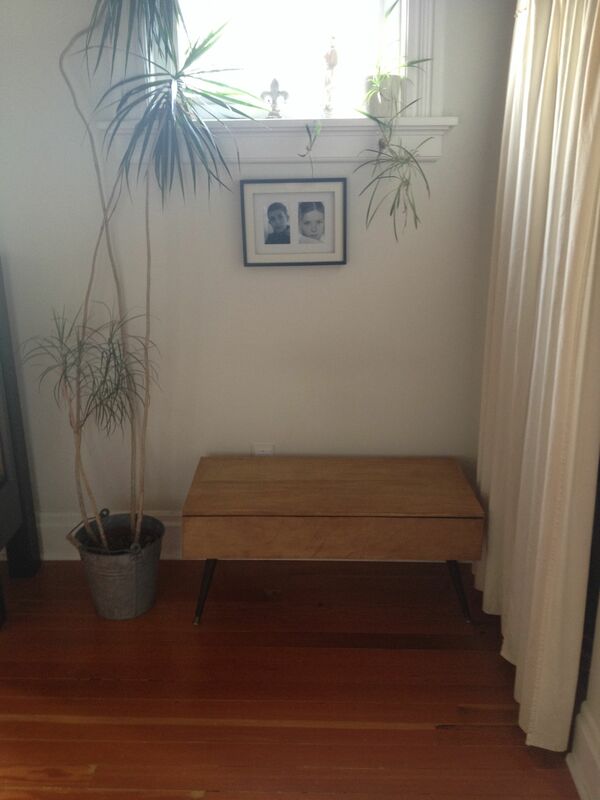 Plywood bench. I basically cut a cheap coffee table down in length, swapped out the legs for new ones and and screwed plywood cladding on from the inside. 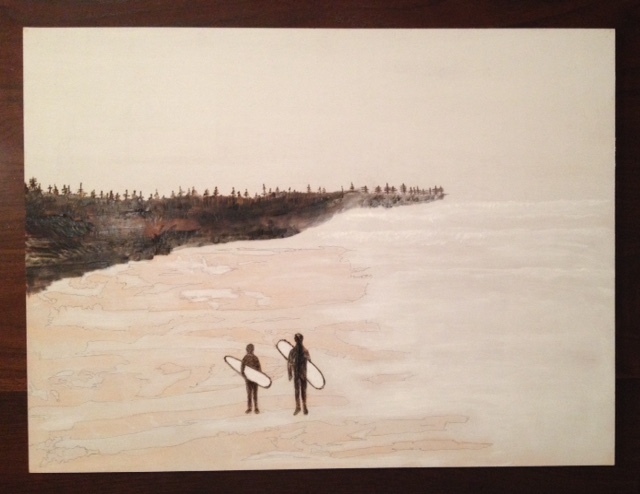 “Ari’s Dream.” Wood burning on plywood, cepia ink, linseed oil finish. 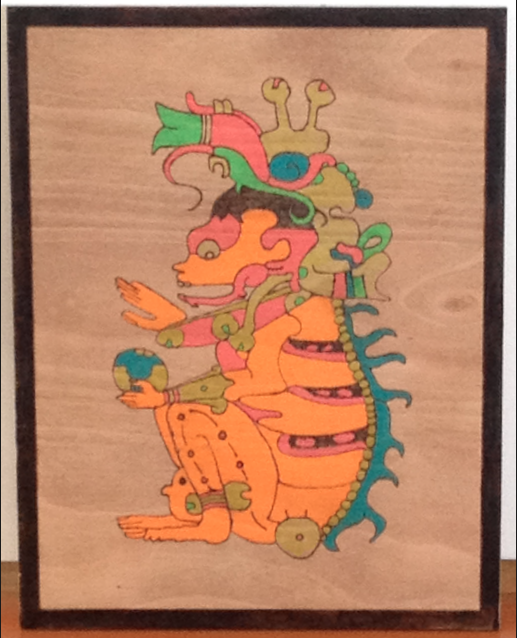 “Putting Ah Puch to Bed,” or “Pooky Bear.” Wood burning on plywood with fine-tipped markers.